Don’t let the moving process stress you out! 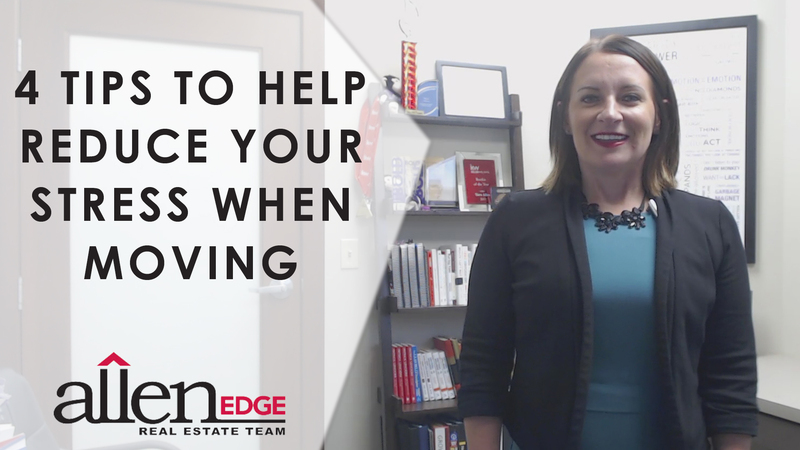 I have four tips you can use to keep some peace of mind while you go through this transition. I’m sure most of us have found out by now that the process of moving can be stressful. But my wish is that your next move can be as pleasant and stress-free as possible, so today I want to share some tips that will help you make the process smooth and enjoyable. 1. Plan! You cannot start planning too soon. With the stress of packing up and moving an entire household, you’ll want to start as early as possible with things like gathering enough boxes and contacting movers or transferring services. 2. Know that moving is an emotional process. Don’t forget to make time for yourself and your family to do fun things to break up the tension. Moving is an exciting new adventure, and when the dust settles, you’ll be happy you did it. 3. Have an emergency fund. Sometimes, you’ll come across unexpected costs that crop up, and it will save you a lot of stress if you have enough funds to take care of them. Put aside some cash from each paycheck in the period leading up to the move, just in case. 4. It’s normal to feel unsure or uneasy. This is especially true once you’re under contract at your new home. That’s when it tends to sink in officially. Just remember to relax, feel free to ask your agents lots and lots of questions if needed, and think about why you decided to move in the first place. You can always rely on us to help navigate you through the process. Don’t forget to have a little fun! Moving is an exciting new adventure, and when the dust settles, you’ll be happy you did it. If you’re thinking about buying or selling a home, reach out to one of our team members. Our goal is to keep you informed throughout the process and to keep you at ease as much as possible.